Inkjet printing: modern inkjet technology creates a beautiful full color coverage over every tile combined with a slightly textured surface which creates a traditional handmade looking subway tile with full color coverage. 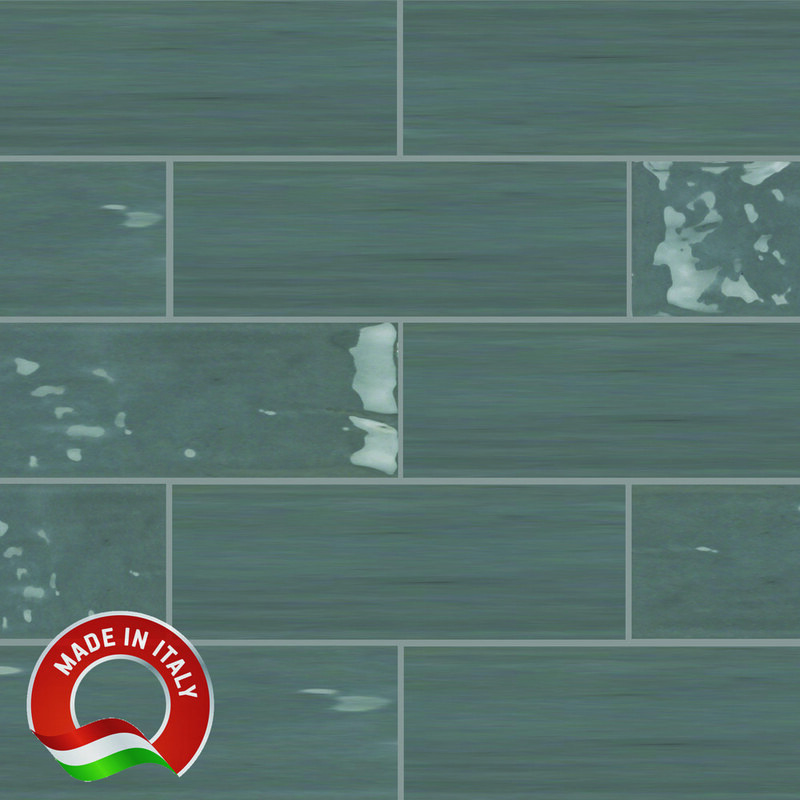 Ceramic tile: A strong, durable tile, perfect for wall applications. Color Variation: V1-Uniform Appearance: Minimal to no difference among pieces from the same production run because each ceramic tile is manufactured using the same glaze applications and body texture. Applications: These tiles are recommended for indoor wall applications only, such as kitchen backsplashes, bathroom walls, mud rooms, laundry rooms, feature walls, any area that needs to be easily sanitized and could use some extra brightness!